Leather Journals with Malachite Stone has a unique stone in the center of every journal giving a distinctive character to them. Uniquely structured and carefully assembled. 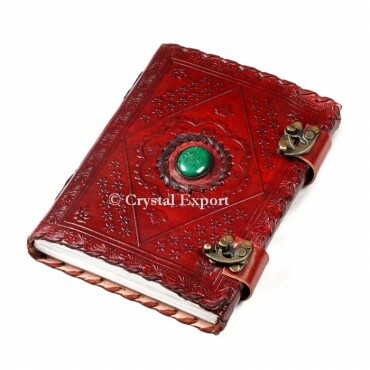 This Leather journal is produced using high caliber costly leather; it is stylish, Cool and upset looking. Order Online at Crystal Export.